Locate approximately 40 minutes north of the Las Vegas Strip, the Las Vegas Paiute Golf Resort is truly an exceptional golf oasis in the middle of the desert. The first of the courses at Paiute, Snow Mountain (Nu-Wav-Kaiv) is a true work of art. 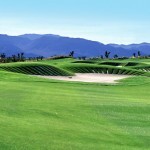 The course provides a very stiff challenge for all players, but remains very fair. 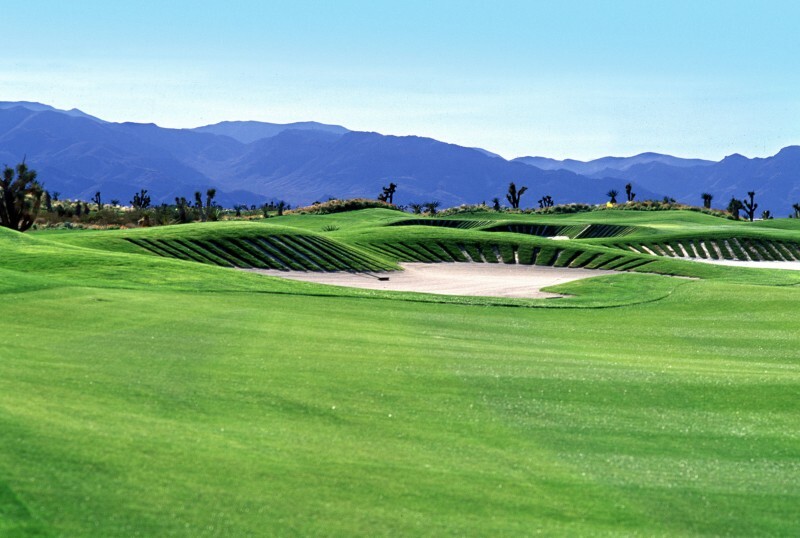 The course features wide, rye grass fairways and fescue rough meandering through the native desert, and bunkers accented by Dye’s trademark railroad ties. Snow Mountain is also very unique in that it features a lot of water throughout the golf course. Water comes into play on seven of the eighteen holes, especially on the Par-3 198-yard 16th. Snow Mountain has been rated as the best public course in the state of Nevada by Golf Digest. Book Las Vegas Paiute Golf Resort – Snow Mountain Now! *Don’t want to drag your clubs through the airport? SGS will deliver and pick up rental clubs direct to your hotel. Sterling Golf rents Callaway woods and irons and Odyssey putters.